The number of breweries currently operating in the US has surpassed 3,000 for the first time since the 1870s, according to a recent report by the Brewer’s Association (BA). 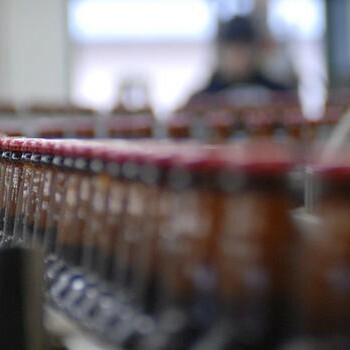 A total of 3,040 active breweries were counted at the end of June, with the Association’s chief economist, Bart Watson, saying it was likely it was the first time the US had crossed the 3,000 brewery barrier since the 1870s. In 1995 the Internal Revenue Department counted 2,830 “ale and lager breweries in operation” in 1880, down from a high point of 4,131 in 1873. The milestone was announced via the BA’s blog yesterday in which Watson saying that it marked a “return to the localization of beer production,” with almost 99% of the 3,040 breweries classed as small and independent. He said: “The majority of Americans live within 10 miles of a local brewery, and with almost 2,000 planning breweries in the BA database, that percentage is only going to climb in the coming years. Watson was quick to note that the market had not reached a “saturation point” adding that the resurgence of American brewing is “far from over”. He said: “Most of the new entrants continue to be small and local, operating in neighborhoods or towns. What it means to be a brewery is shifting, back toward an era when breweries were largely local, and operated as a neighborhood bar or restaurant.